How often after a particularly terrible day do you find yourself reaching out to a tub of ice cream or a bag of chips to get through the day? Many, right? These sugary treats and fried snacks that often collectively called as comfort foods. But this may be one of the biggest lies the food industry is letting you believe. As of now, a majority of people around are living with depression, most without the treatment or help necessary. While this may be essential, studies have shown that including exercise in one’s routine and switching to a healthy diet does help in the process. 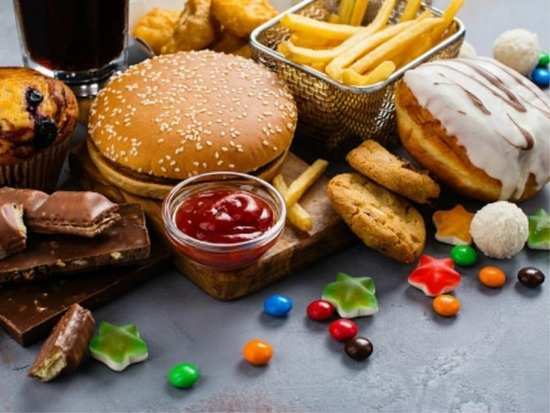 The research study says that increasing the intake of unhealthy food increases the risk of the severity of depression as well. Naturally, consuming healthier food helps to reduce risk. So remember, even if it’s called comfort food, it’s not really lending you any comfort at all. Here are some rules you must use as guidelines while eating healthy. Complex Carbohydrates in fruits, vegetables, and whole grains – Complex carbohydrates help in providing energy to the brain cells. Simple carbohydrates found in sugary drinks and snacks release glucose faster into the body’s system thus increasing the instances of highs and lows normally created by simple carbohydrates. Remember, carbohydrates aren’t bad, but simple carbohydrates are. Antioxidants in fruits and vegetables – Antioxidants are extremely essential to remove stress and decrease the inflammation in the brain. In return, this increases the feel-good chemicals in the brain that improve your mood. Omega 3 in oily fish and Vitamin B in some vegetables – These also increase the production of the feel-good chemicals in the brain, and they are known to protect against depression and dementia. Probiotics and prebiotics are extremely essential to increase bacteria living in the gut – these bacteria release chemical messages from the gut to the brain that influence our mood and reaction to stressful situations. According to research, pro- and prebiotics can work the same way as antidepressants. 10Can retail therapy help people unleash their emotions?